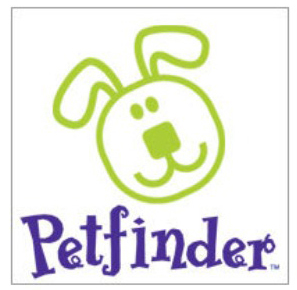 Each year Petfinder looks through the 300,000+ pets listed on their service to find the top names for adoptable dogs and cats. Each year we make a list too, and we can't wait to compare the two, this will not be posted until the end of the year so we have all data from the whole year available for you, in the meantime checkout the Petfinder results. My male dog's name is Brad and the two females are Angie and Bella. :D Yes, that's the Jolie-Pitt and the Bella is from Bella Swan. Hahah! I have a dog. His name is Max. I love the names Max and Rocky for male dogs. They both are very strong names. I personally have adopted two dogs from them local Lincoln, Ne animal shelter, one named Duke and the other Charlie. Both were awesome dogs. Other benefit of adoption from local shelters is that they are given all their shots and fixed before they go out the door. So all you have to do is love them cause everything else has been taken care of for you. I've known so many people that have had dogs named max, I'm definitely not surprised its number one on that list. I got a cat "Midnight" but i call her "natty" ! Good job, keep up the good posting ! My personal favorite is Jack! I always wanted to have a Jack Russell named Jack. Is that boring? I named by female boxer Brenda. I named it after a lady boxer. Nice stats on the pet name. Thanks. Oreo I think will best suit my new dog and I am so glad to find great sources like this one online and my wife will surely agree with me regarding this. Thanks for this great list! Our pooch is named Logan but his nick name is Logi. We're always in need of cute names. Will bookmark this for future reference. I love the name buddy, makes me remember my first dog! No way i have a dog named buddy to... goes to show this list really is accurate.. we are calling our newest dog oreo too!